We recorded with violinist and composer Michelle Ross exploring the intersection between classical music and art. Michelle is a hugely accomplished musician and we discuss her early introduction to the violin, the influence of her teacher Itzhak Perlman, her recent 33-days of Bach performances in NYC, and music composition. We loved speaking with Michelle and even got her to play exclusively for the podcast. We hope that you enjoy this one! Thanks to Eleventh Street Arts at the Grand Central Atelier, where we recorded. We sat down with Mario Robinson for a great and completely unedited conversation - we have been wanting to record with him for a while and we finally had the chance on the heels of the release of his excellent new book about painting in watercolor: Lessons in Realistic Watercolor. We hear about his epic journey from Oklahoma to New Jersey to the US Army to Brooklyn to Alabama and back to Jersey. Mario is a friend and a hugely talented artist so we had a blast with this recording. We hope that you enjoy our conversation with him as much as we did! Thanks to the Grand Central Atelier where we recorded, Kelly Foss and of course the lovely and wickedly talented Jay Bran (Braun-Braun-Braun). We recorded with artist and teacher Sharon Sprung. Sharon is a leader in the New York figurative art scene. We follow her from Glen Cove, Long Island to Cornell to NYC. She studied with legendary teachers Robert Beverly Hale and Harvey Dinnerstein at the National Academy of Design and Art Students League before joining the ranks herself. It was a fun conversation and we hope that you enjoy it! As always, thanks to the Grand Central Atelier where we recorded and ol' man Jay Braun for taking the lead on our new jingle, perhaps one of the all time great jingles created by human or beast. We sat down and had a fun conversation with sculptor Brian Booth Craig. Brian has a show of his sculptures at Bernarducci Meisel in New York City that opens on April 7. We are pleased to announce the release of our latest installment of Suggested Dontation Podcast, a conversation with acclaimed artist, teacher and now author, Jon DeMartin. We had a blast speaking with Tony’s studio neighbor and friend Jon. We covered baseball, his training with Michael Aviano, the elusive Ketchup Bottle painting, Baldassarre Franceschini and of course his new book: Drawing Atelier, The Figure. You can learn more about Jon, see his work and order his book through his website: www.jondemartin.com . We hope that you enjoy the discussion! As always thanks to the great Jay Braun, the Grand Central Atelier, and especially all of you who continue to listen and send positive comments, feedback and emails! It’s been a while, but we are back with another riveting installment of Suggested Donation Podcast! We sat down with an artist who is widely considered to be one of the greatest living landscape painters, Joseph McGurl. Joseph’s paintings fuse vivid detail with a textured surface creating paintings that possess real presence. His works are painted using only his plein-air sketches, scientific knowledge and large doses of imagination. We discuss his philosophy on art, technique, tools and his love of science. We are grateful to Joseph McGurl for generously sharing his ideas with us. Thanks always to the Salmagundi Club for hosting us, and to Jay Braun for his many talents. Enjoy the show! Suggested Donation Podcast is back with another dynamite episode! Hot off the presses, our back to school special edition is perhaps our most extraordinary scoop to date, featuring Old Master Dealer and real-life Indiana Jones, Robert Simon. Hear the gripping story of an art historical find of momentous proportions -- the discovery of the century - told by the man at the center of it, and all in his own words presented in futuristic technicolor sound. This epic story has barely been covered by the media in the US of A, so we are very excited to be the exclusive podcast source for the Robert Simon saga! We are very excited to announce the latest installment of Suggested Donation Podcast featuring artist, and founder and director of the Florence Academy, Daniel Graves. Daniel is a titan of the Classical Realism/Atelier movement and we are deeply honored that he took the time to sit down with us and share his ideas. We were lucky enough to schedule an evening at the Salmagundi Club during his recent trip to inaugurate the newest branch of the Florence Academy here in the US, in Jersey City. Daniel is unparalleled in his tremendous impact spreading Classical training and the ideals of humanist art, and we sincerely hope that you enjoy this conversation. Thanks to Daniel Graves and to Susan Tintori for organizing the recording, the Salmagundi Club for hosting us, and Jay Braun for being a dear. We sat down at the Grand Central Atelier's Eleventh Street Arts Gallery to record a much anticipated conversation with artist James Gurney. Our discussion traces his journey from boxcar hopping with Thomas Kinkade and an assortment of hobos to the success of his Dinatopia books to his wildly popular blog Gurney Journey. Through it all, James never stops sketching. We had fun talking shop, and hearing amazing stories from one of the most widely requested guests to be featured on Suggested Donation Podcast. Many thanks to James for taking the time to share his thoughts with us, Jay Braun and the Grand Central Atelier. We hope you enjoy this episode! "Chandara" 24 x 52 inches, from "Dinotopia: Journey to Chandara"
"The Sinking of the Cumberland" commissioned by Nat Geo and currently on display in the Maritime Museum in Virginia. "Tarquinia" Nat Geo illustration of the Etruscan "Blue Devil Tomb"
We were lucky enough to sit down with the executive chef and co-owner of two of NYC's most celebrated restaurants, Chef Nick Anderer of Maialino and Marta, both part of the Danny Meyer empire. We sat down in the private dining room at Maialino to discuss cuisine, craft and art. Chef Nick was in college focusing on art history on a semester in Rome when he first recognized his desire to find a career in food. Amidst protests, police sirens and a booming party below us, we sat down to record a conversation at the Salmagundi Club with one of our favorite artists and dear friend, Michael Grimaldi. Michael has joined the lineage of great artists who teach at the Art Students League of New York, and has become a sought after anatomy instructor, teaching over dissections at Drexel University. He made the unusual choice to dedicate himself to drawing in recent years, and we explore his motivation for this shift. We had a fun conversation and are grateful to have had the chance to speak with one of the most distinguished draughtsmen of our time. We hope you enjoy the conversation! We are honored to have been joined by a legend in the world of contemporary figure painting, Steven Assael. 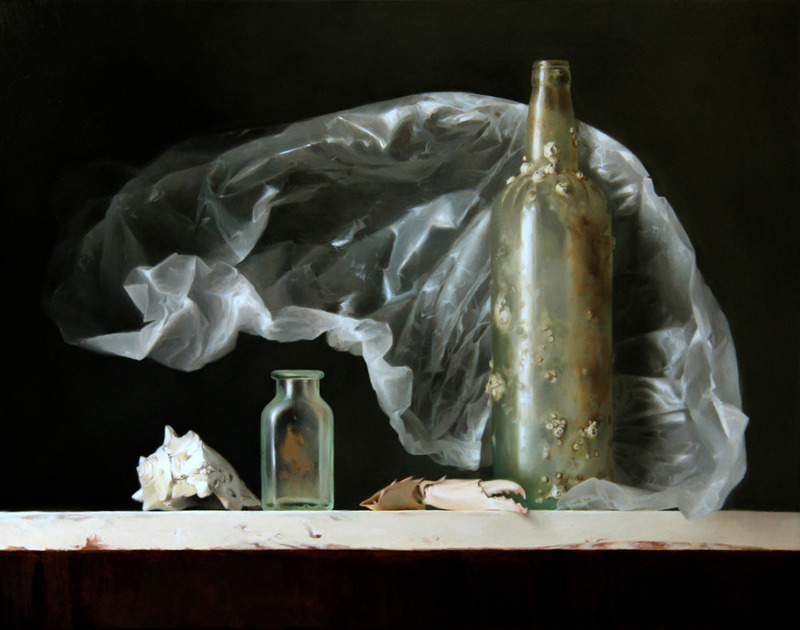 Steven has been a central figure in the realist painting world for decades, instructing at the School ofVisual Arts and at the New York Academy of Art. His work is represented by the prestigious Forum Gallery in New York City.We explored Steven's introduction to art, and what continues to inspire his outstanding paintings. The conversation goes very deep into Steven's philosophy, ranging from cave paintings to Bruce Lee. Thanks to the Salmagundi Club for hosting us in their inspiring Library, and to the excellent sound engineering skills of Jay Braun.